In an effort to better serve our local customers we are expanding our service locations. 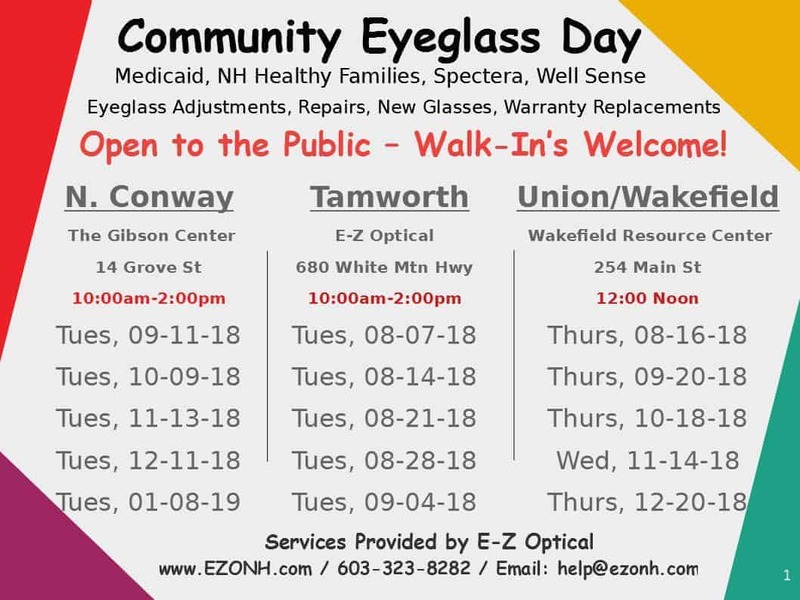 Starting in August of 2018 we will be hosting monthly “Community Eyeglass Day” events in N. Conway, Tamworth, and Union/Wakefield locations. We are working to add Ossipee and Wolfeboro to the rotation so be sure to check the schedule for updates, additions and cancellations. 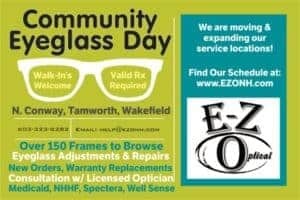 During these scheduled events we will be offering the same services you were able to receive in our Tamworth Optical Store but at a location near you and No Appointment Needed!